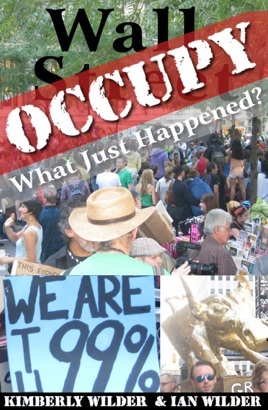 Wilderside Ltd presents its second eBook, Occupy Wall Street: What Just Happened? In the eBook, the Occupy movement is explored through original reporting, essays, photographs, cartoons, poetry, and reviews. Includes an essay analyzing the “One Demand” concept. The collection records the unfolding of Occupy into the culture from September 2011 to the present. Authors Kimberly Wilder and Ian Wilder were early supporters of Occupy, using their internet platforms to communicate the changes being created by the American Autumn.